Thank you to our MNA David Birnbaum for taking an interest in this issue. David has taken up the cause of a few emergency services issues very quickly in his mandate out of concern for our residents. His keen interest and quick action is appreciated. Contrary to what the SQ has stated, Bill 101 does not prohibit English when it comes to public safety as the Montreal Police Department has correctly determined, in large part, in its use of social media. Indeed, there is some question as to whether or not Bill 101 has any jurisdiction at all over the use of Internet communications. 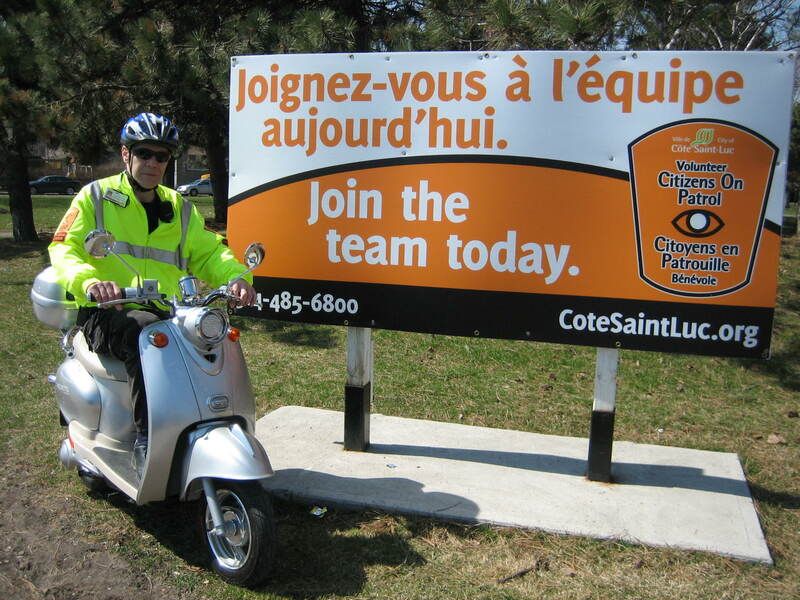 Nevertheless, the provincial police has a mandate and duty to communicate, and logically to be understood, by residents of Quebec and visitors to our province. 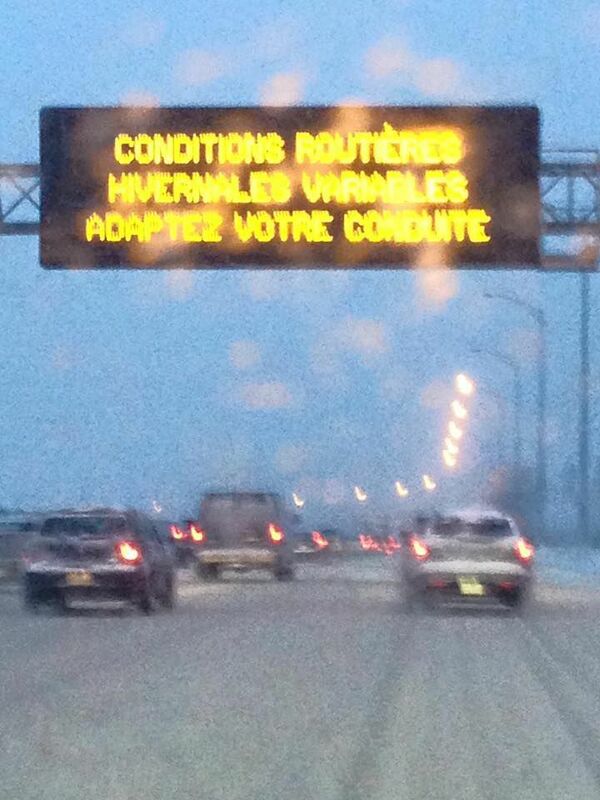 Tweeting in French only is a misinterpretation of their requirements to communicate effectively. 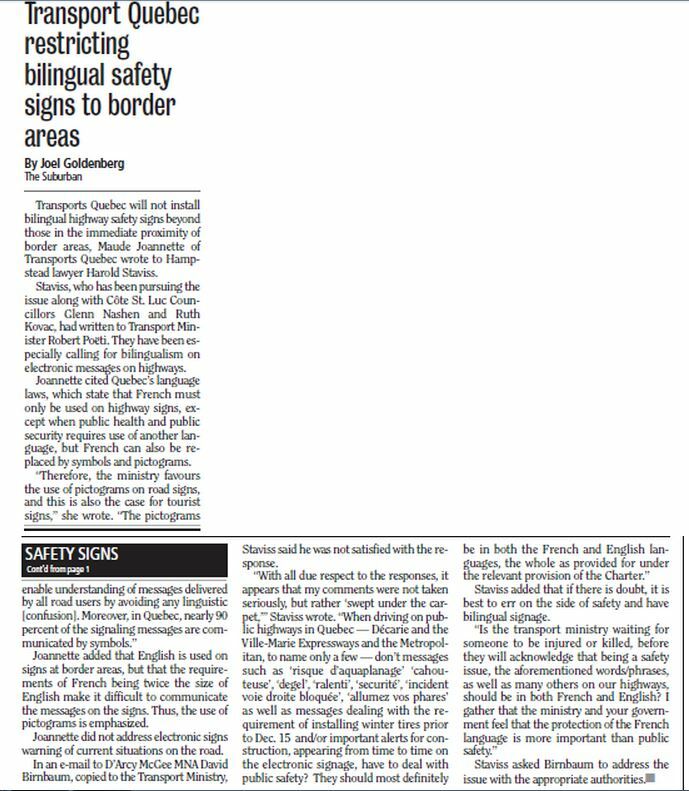 I will follow this dossier closely and next will encourage David to investigate why Transport Quebec is using the same narrow rulebook to exclude any English public safety messages from its enormous digital billboards on autoroutes across Quebec. The parking lot at Trudeau Park was filled with emergency services and vehicles today but there was no need for panic at the sight of all that commotion. 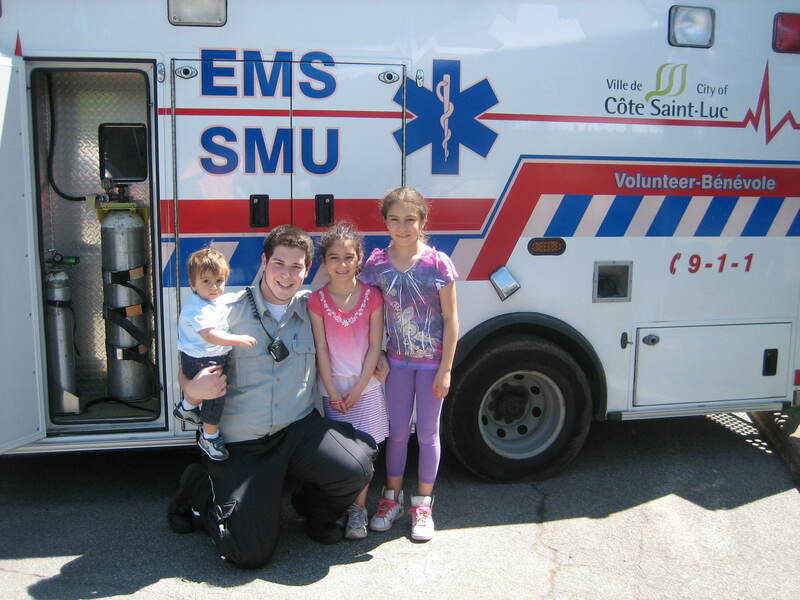 The annual Public Safety Day (as part of the larger CSL Spring Fair) was exciting for visitors young and old. 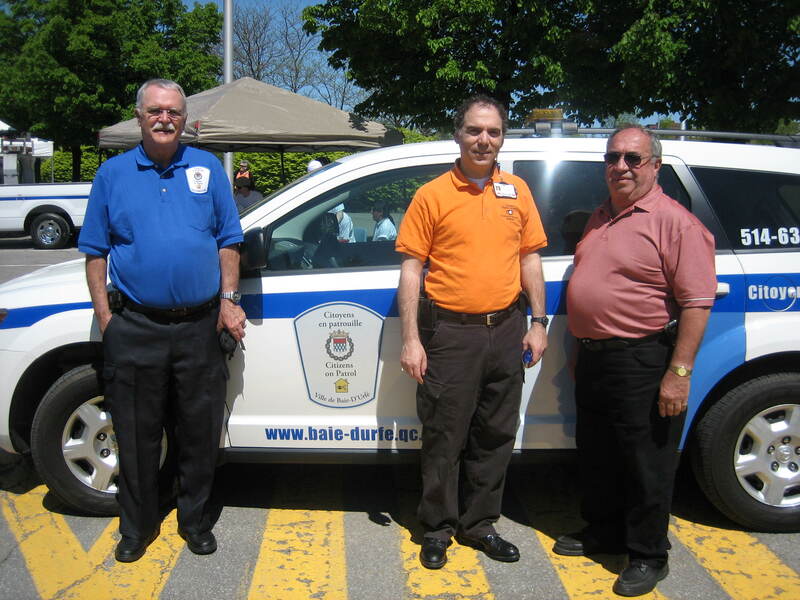 In addition to local Public Security, EMS and Citizens on Patrol, residents got to kick some tires of vehicles from the RCMP, Transport Quebec, Montreal Police, Fire, Hydro Quebec, Hatzola and even the Baie d’Urfé COP unit. 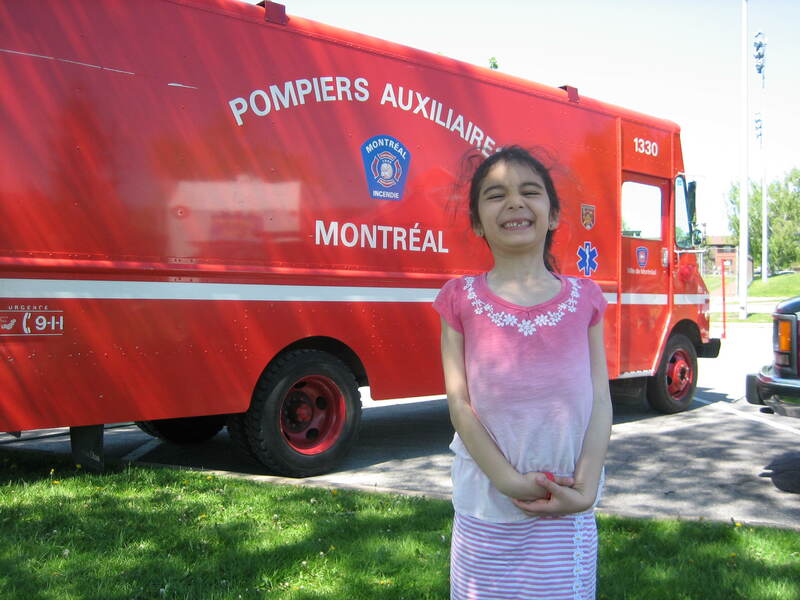 The Montreal Fire Department set up a “smoke trailer”, a miniature house on wheels for kids to learn about fire safety. They enter a “smokey” bedroom and have to crawl to safety, all to learn a valuable lesson about staying safe. The Montreal Auxiliary Fire Brigade was on hand explaining how they have been supporting the Fire Services for more than 65 years. The Canadian Armed Forces were on display with a military ambulance and auxiliary nurses. The Trauma Team of the Montreal Children’s Hospital was in full force offering up tips regarding bike helmets, car seats and much more in the way of injury prevention. 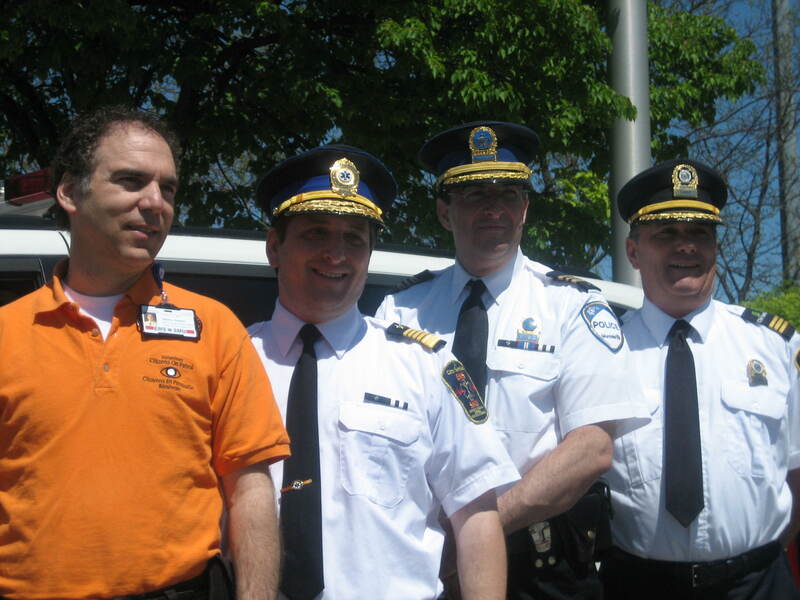 Many thanks to all those professionals and volunteers who participated in a succesful event, especially CSL Public Safety Director Jordy Reichson, CSL Public Security Chief Michel Martel and Neighbourhood Police Station 9 Commander Sylvain Bissonnette, as well as EMS Coordinator Melaine Selby and Public Security Lieutenant Anthony Tsakon, the CSL Communications team (Darryl Levine and Regine Banon), the Recreation team and Public Works Department (Bebe Newman and company). Kudos to COP Supervisors Lewis Cohen, Susie Schwartz and Mitchell Herf along with Team Leaders Mayman, Berkowitz and Schok and all COP members. This was a great team effort.